So, you’ve just been in a car accident. Now what? If you’ve never been in an accident before, and many drivers haven’t (thankfully), you may not know what to do next. Most are unsure about how to report car accidents. Do you call the police? Do you move your car or leave it where it is? Do you talk to the other driver? Do you fill out a car accident report? What about your insurance company – should you call them? There aren’t many things more stressful than getting into a car accident. One out of three Canadians will be involved in a car accident sometime in their life – that’s 33% of us. In a high anxiety situation like this, we often freeze up – not knowing what to do next. But don’t worry – this is why we are writing this article – to help you be prepared and know what to do, just in case you get into a car accident. I’ve Just Been In An Accident. When To Report An Accident. 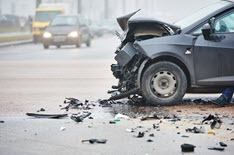 The first thing you need to know about car accidents is when to report an accident. Do you have to report a car accident? Should I report a minor car accident? Is it illegal to not report an accident? These are common questions drivers think about when reporting an accident. 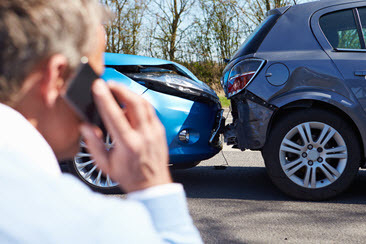 Accident reporting may not be required, depending on the amount of damaged caused. By law in Ontario, if the damage exceeds $2000 (between both vehicles combined), you are required to file a police accident report. If there is no damage or it is less than $2000 combined, you do not have to report an accident. Injury : You must report the accident if someone is injured. Government Vehicles : The accident involves a government vehicle. No Insurance : If it involves a driver who doesn't have car insurance. Criminal Act : A criminal act occurs such as impaired, DUI, etc. Pedestrian : The accident involved a pedestrian. Property Is Damaged : Damage is caused to private or municipal property. Thinking of not reporting an accident in Ontario? Failure to report an accident in Ontario could be opening yourself up to many potential problems. Filing an accident report is important not only to ensure you cover all your bases, but also to ensure you have peace of mind and are legally covered if something develops post-accident. What If I Fail To File A Vehicle Accident Report? What happens if you don’t report an accident within 24 hours? If you fail to report an accident that exceeds the damage threshold, you could be charged with - Leaving The Scene Of An Accident . Fines : Fines range between $400 and $2000. License Suspension : Your license could be suspended for up to 2 years. Jail : You could face jail time depending on the severity of the accident. What Happens If Someone Hits You And They Don’t Report It? If someone hits your vehicle and they don’t report the accident, they could be charged with leaving the scene. Failure to file an accident report is very serious. So if you are not sure if the damage is more than $2000, it’s always better to report it just in case. How Long Do I Have To Report An Accident In Ontario? How long do I have to file a police report? In Ontario, you should report any accident within 24 hours of it occurring. Even if the damage is minimal (less than $2000) and you decide not to file an insurance claim, you will have a record of the accident. Can you report a car accident after 24 hours? If you have let 24 hours lapse, then you should report the accident immediately at your local accident reporting centre. Many drivers make the incorrect assumption that this means you do not need to notify your insurance company if damage is less than the threshold. This is incorrect. Your car insurance policy states that you need to report all accidents, regardless of the amount of damage, even if you are paying for the repairs out of pocket. It can be tempting to skip the accident reporting process and not involve the police or insurance, especially if you are in a minor accident. No one wants their insurance rates to increase because of an accident, especially a fender bender. This is why many drivers consider making a deal with the other driver and offer to pay out of pocket. The other driver could decide to report the accident to insurance : If this happens, your insurance company will be notified of the accident and you could risk having your insurance cancelled. This can also make you look guilty because you didn’t file a claim. The other driver could file a police report : You could then be charged with leaving the scene of an accident. The other driver may do an about-turn and decide not to pay : You may be forced to pay for the damage, even if you were not at fault. Injuries could arise after the fact : You will have to pay out of pocket for these medical expenses. The damage could be more than $2000 : If this is the case, then you are required to file a police report. The other driver could be conning you : You risk being a victim of insurance fraud and being taken advantage of by the other driver. Plus, not reporting an accident can weigh on your mind and can have you second guessing yourself and wondering if the decision not to report an accident will come back and impact you in the future. Do I Have To Report An Accident In A Parking Lot? Back into a car in the parking lot? Did your car get hit while you were in the store? An accident in a parking lot should be treated the same as an accident on a road. Use the same rules above to assess the situation and your need to file an accident report. Call your insurance company to notify them of the accident. This may seem obvious that it’s not worth mentioning, but this is the most important thing for you to do. Remaining calm helps you keep your head clear so you can make the right decisions in the moment. Take a deep breath or two and collect yourself before doing anything. This may also seem obvious. If you don’t remain at the accident scene, you may be subject to criminal prosecution. Begin by checking yourself. Are you feeling pain? Can you move all your limbs? Ask other people in your car the same questions. How many times has traffic slowed to a crawl because of vehicles remaining in active lanes on the road or highway? If you are sure it is safe, move your vehicle to the shoulder. DO NOT get out of your car in live lanes of traffic. If your vehicle cannot be moved, put on your hazard signals. Before checking your car, you want to be sure that everyone is unharmed. Once you have confirmed all parties are okay, check the damage of your vehicle. Take photos. Someone is injured in the accident. The damage to the vehicles exceeds $2000 between both vehicles. You think any of the drivers have committed a criminal offence (for example, driving while under the influence of alcohol or drugs – DUI). If none of the conditions above apply, you should call the closest police station for instructions on how to proceed with reporting the accident. Some police stations will dispatch officers, and others will advise you to go to the closest Collision Reporting Centre. NOTE : If a police officer doesn’t come to the accident, you are required to go to a Collision Reporting Centre within 24 hours of the collision. Get an Accident Worksheet from the Financial Services Commission of Ontario website. You want to be able to provide as much information about the conditions surrounding your accident as possible. The sooner you do this, the more likely it is that you will remember more details. This helps your broker or insurance company, and (if necessary) the police, to understand the circumstances around the car crash. Many times, tow trucks will show up at the scene of the accident. If your car has been damaged so that you can’t drive it, you will need to be towed to an accident reporting centre. Ask how much the towing costs will be. Have your vehicle towed to the nearest Collision Reporting Centre. Don’t sign anything without reading and understanding what you are signing. You can get more detailed information on Tips for Avoiding Tow Truck Scams from FSCO. Find the centre nearest your car crash on our collision reporting centre page. Or phone 416-808-2222 (in the GTA) to locate the Collision Reporting Centre nearest to you. When you get to the Collision Reporting Centre, you will fill out a collision report. An officer will then check the damage against your report to determine if the damage they can see is consistent with your report. Insurance Policy Information : The policy owner’s name and policy number. Information On The Car : Have the year, make and model of your vehicle ready. Details About The Accident : Provide all the information that you have written down or can remember. Information About Car And Driver Of The Other Vehicle : Have on hand the other persons driver’s license information, insurance info, license plate info. Reporting Office Information : Have the name and badge of the reporting office if there was one. All of this information will be on the form you fill out at the accident reporting centre. There is a lot of misinformation out there about filing a police report after accidents. It is always a good idea to take precautions and call the police to find out whether or not you will be required to file a police report. Filing a police report in Ontario is fairly straightforward. You will be asked for specific information by a police officer at the scene or the accident reporting centre. Follow their instructions for filling out police report documentation. Filing a police report for a car accident is something you should do to protect yourself legally. As stated above, if damage exceeds $2000, then you are required to file a police report after an accident, either on site or at the nearest collision reporting centre. Will The Police Come To The Scene Of The Accident? It depends. 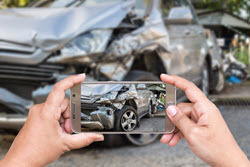 Police may or may not come to the scene of an accident based on many factors including the amount of damage, if there are injuries, and the location of the accident. Call the police, and they will let you know if they are en route to the scene or if you should visit an accident reporting centre to file a police report for the accident. Does Filing A Police Report Mean You Need To File An Insurance Claim? Filing a traffic accident police report does not mean that you are required to file a car insurance claim for the accident. The police report is the record of the accident, and it will outline the details of what occurred. It can also help protect you because you don’t know what the other driver may do or say after the accident. What Is Included In Police Reports For Car Accidents? The information included in a police report for a car accident can vary based on the details of the accident, who filed the report, and where the report was filed. For example, a car accident police report at the scene will be different from the police report filed at a reporting centre. Report Number : The police accident report reference number will be indicated. Date and Location : The report will have the date and location details of the accident. Driver Information : Driver’s license, insurance, ownership, contact information of all drivers involved. Vehicle Information : Make and model of vehicles involved in the accident. Statements : Statements of what witnesses and passengers saw. Driver Statement : A statement of the events that led to the car accident from the driver’s perspective. Other Information : Any other information that may be relevant to the accident, such as road and weather conditions. Reporting : You will have an accurate account of the car accident details. You will have a copy of your car accident police report form. Legal Issues : You are protected if legal issues arise. Proves Fault : It can help prove fault, and prove you are not at fault in an accident. Protection : It helps protect you from a scam or insurance fraud. Law : You may be legally required to file a car accident police report. Don’t leave anything to chance. Peace Of Mind : It provides you with peace of mind in knowing you did everything you could. Do Police Reports Impact Insurance? Contrary to popular belief, car accident police reports will not impact your insurance company’s assessment of the car accident. It is up to your insurance provider to determine who is at fault for an accident and whether or not you will see an increase in your car insurance rates. Learn more by reading At Fault Accidents and Insurance In Ontario. 1. Stay Calm : Try to remain calm and not panic. 2. Injured People : Do not move anyone who has been injured in the accident – this could aggravate their injuries. 3. Don't Fight : Do not argue at the accident scene about the collision. 4. Blame : Do not assume responsibility for any damage, or promise to pay for damages. 5. Unauthorized Tow Trucks : Do not let an unauthorized tow truck driver pressure you to have your car towed. You should know exactly what you are covered for. While your insurance broker or company can provide you with this information, the claims process will be less stressful for you if you clearly understand what your specific policy will do for you. Read through your policy and understand your coverage limits. Once your claim has been submitted, you will receive a call from one of your insurance company’s Claims Adjusters. Your adjuster will review your policy with you so understand what you are covered for and which items your insurance company will compensate you for. Your claims adjuster can answer any questions you might have about the process. 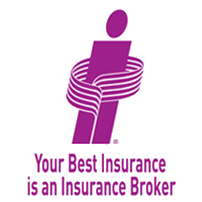 If at any time you have questions that you want to get answered, reach out to your insurance broker or agent. Being in a car accident is extremely stressful. Following these steps will not only help to ease your stress but also help to make sure that everyone is properly taken care of in the event of a collision. Whenever there is a collision, someone is always considered to be ‘at-fault’ – fully or partially. 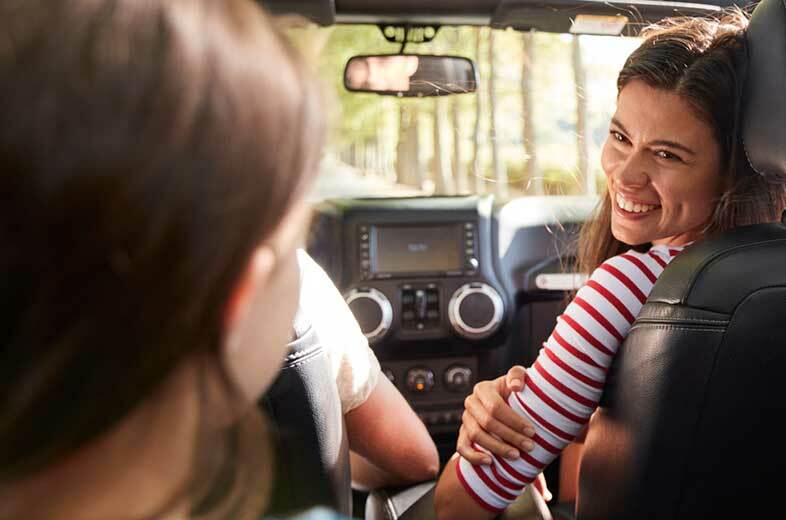 Assessing at-fault accidents helps insurance companies determine accident coverage rates for each driver – which helps keep your premiums lower when you renew your policy. Insurance companies use At-Fault Accident Determination Rules provided by FSCO. So that all accidents are assessed uniformly and fairly. Insurance companies have processes in place if you disagree with the claims assessment. Start by speaking with your claims adjuster and present any new information that you believe is important and has been overlooked. What If I Suspect A Scam Or Auto Insurance Fraud? If you suspect that you may be a victim or target of a scam or fraud, you need to report it right away. Report it to the police immediately. You can also file a report through FSCO’s Insurance Fraud Hotline. Go to www.fsco.gov.on.ca/TipNow or call 1-855-5TIP-NOW. 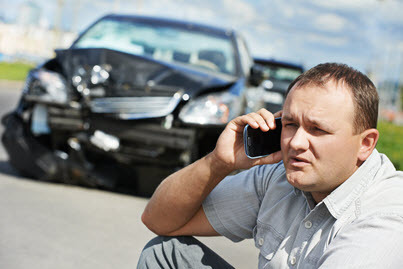 Questions About The Car Accident Claims Process? Wondering Whether You’re Adequately Covered? We can help you! If you’re not sure or if you have some questions, call a ThinkInsure broker. Mon-Fri 8am-8pm : 1-855-550-5515. Aurora, Newmarket : All collisions must be reported at the scene in Aurora. Call 911 and wait at your car.